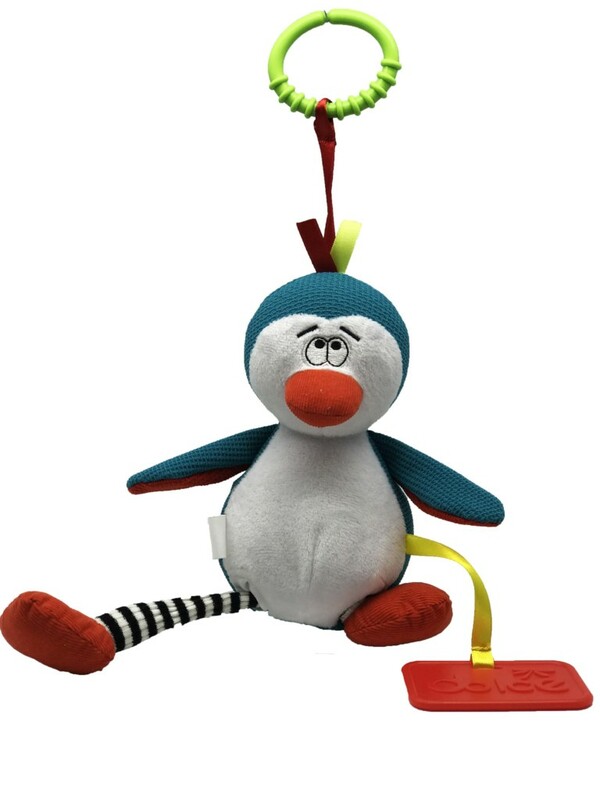 This delightful penguin has a squeaker on the head, crinkle wings and stretchy pull legs. The soft textured and embroidered fabrics combined with the bean bag interior make it perfect for cuddles. 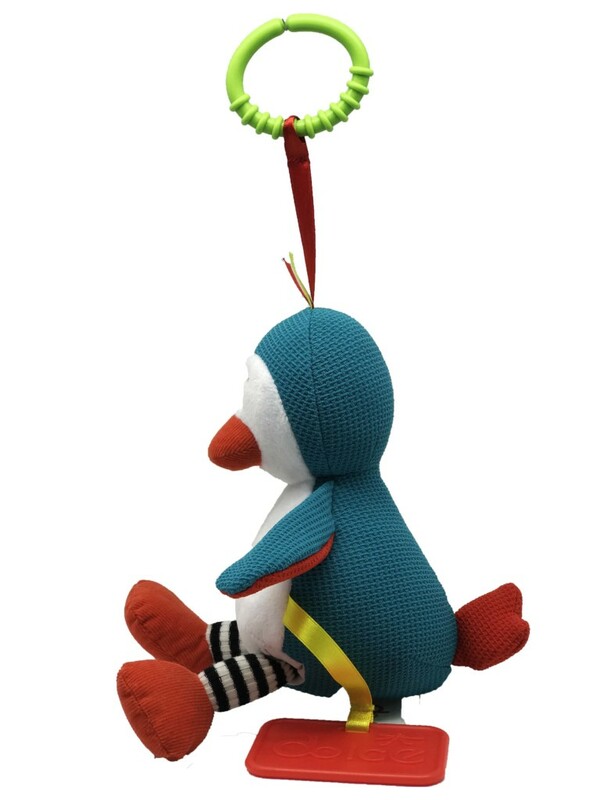 The teether connector ring also means that the penguin can be played with in the hand or hung from a stroller or cot. 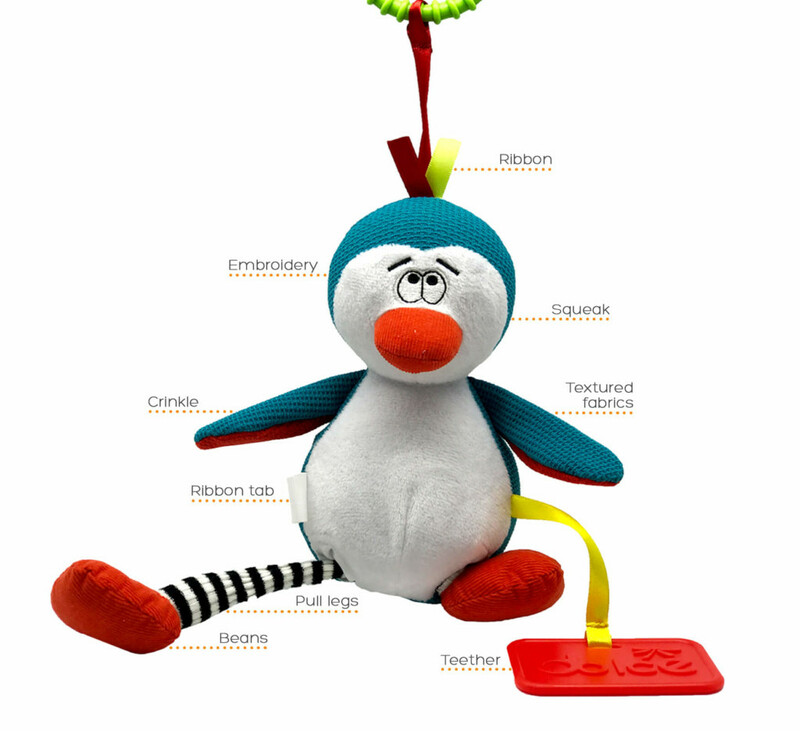 • Touch: The different textures, crinkles and squeaky head are extremely satisfying for children to play with. 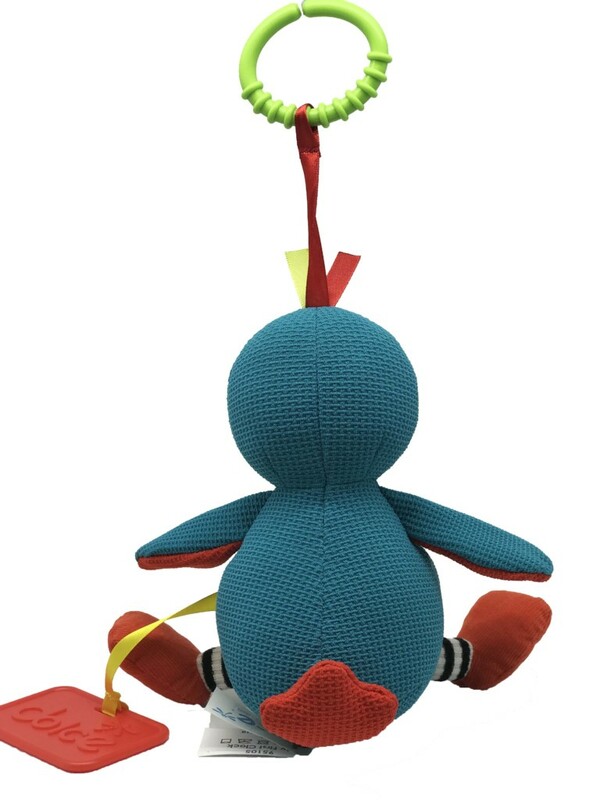 • Helps to connect motor skills with auditory learning by squeaking. 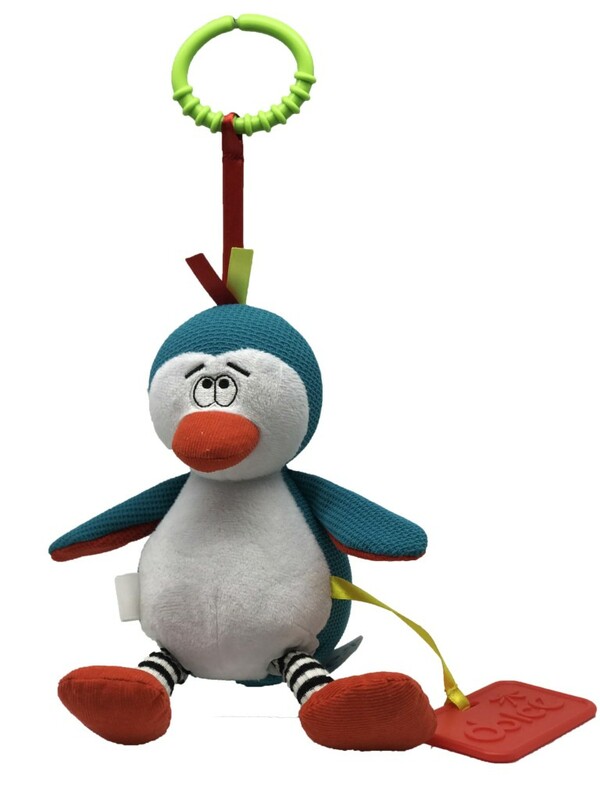 • The pull legs will develop hand eye coordination.